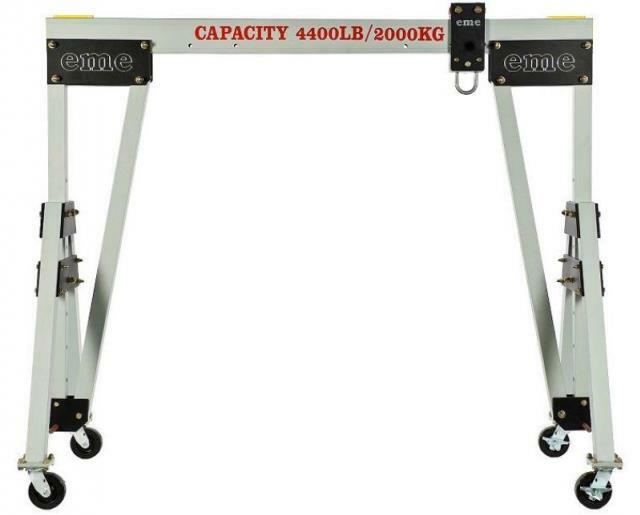 4400lb/2000kg capacity Gantry Crane available with 8'4", 10', or 15' beam, will straddle load. Clearance for lift is 5'6" and up to 7'6"(clearance to lift ring) . Breaks down into 4 pieces for transport, transport weight is 240lb. Footprint depth is 48" at wheels. * Please call us for any questions on our gantry crane 5 foot 6 inch 7 foot 6 inch rentals in Calgary, Alberta.